What does it mean to be underemployed? Underemployment refers to people who are working in a lower capacity than they are qualified for, including in a lower-paid job or for fewer hours than they would like to work. It’s different from unemployment in that the person is in fact, working, just not as much as they’d like or to the full extent of their abilities, skills, or education. The term is also a measure of labor utilization: when underemployment is high, the workforce isn’t being utilized to its full potential. High underemployment can affect the economy similarly to high unemployment, raising poverty levels and depressing spending. As a worker, underemployment can affect you even if you’re not currently working less than you’d like. When you try to change jobs, you might find yourself competing with underemployed (as well as unemployed) individuals for the same opportunities. That also means that you have less bargaining power when it comes time to negotiate salary. A worker may be considered underemployed if they hold a part-time job instead of a full-time one, or if they are overqualified and have education, experience, and skills that exceed the requirements of the job. Unlike unemployment, where a person is actively seeking a job and cannot find work, underemployment describes a situation where a person is working, regardless of the number of hours or the skill level. However, unemployment and underemployment are closing related, as the latter often occurs on account of the former. Mounting bills, expenses, and responsibilities require people to take any job they can get, even if it is not in line with their respective skill set or career interest. The Bureau of Labor Statistics considers these folks “involuntary” part-time workers because they would like to work a full-time, salaried position but can only find temporary or part-time work. A person is considered underemployed when they are working at a job for which they are over-qualified, working part-time when they would prefer full-time work, or working at a low-wage job when they could, if jobs were available, be working more hours. 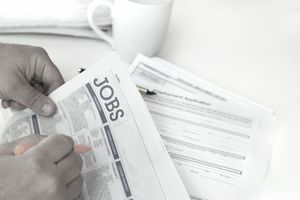 Underemployment often illustrates the employment of workers with skilled backgrounds in low-wage or hourly jobs that do not require such prerequisites. Recent graduates or workers who have immigrated and are reestablishing their careers in a new country might suffer from this under-utilization of skills, but underemployment can happen to anyone seeking work. Recent graduates may find themselves underemployed while looking for their first job after college. Even entry-level jobs sometimes require more experience than students may have to offer right after graduation. Job seekers who find themselves in this position might have to take part-time work while doing additional internships, taking classes, or networking their way to a new position. In many cases, highly skilled individuals come to work in a new country, but face underemployment because their foreign credentials are not be accepted nor considered to be an equivalent fit for the position in question. Few employers are willing to send foreign documents for evaluation by a third party, so many professional individuals such as doctors, lawyers, or engineers take necessary jobs that would otherwise be seen as inferior positions. In addition to students, foreign nationals, and trade workers, those with disabilities, mental illnesses, or former inmates are often discriminated against and are forced to take the first job made available to them for fear of not finding another. Some individuals with acceptable experience and skills are underemployed because of low demand in their local job market. For example, an Oceanographer who is living in Wisconsin might have to take a part-time job until they are able to move to a location that can better accommodate their skill set. In addition, anyone can find themselves underemployed if the economy takes a turn for the worse. During a recession, many skilled workers who would ordinarily have little trouble landing a good job in their field may wind up underemployed. Underemployment can also be caused by larger market changes. For example, automation has affected workers in industries ranging from retail to manufacturing to transportation and warehousing. While we tend to talk about these changes in the context of increased unemployment, underemployment is also a problem, as employers cut hours and workers lose bargaining power in the market. Do You Have to Look for Work While Collecting Unemployment? Can Employers Find Out if You Were Unemployed?